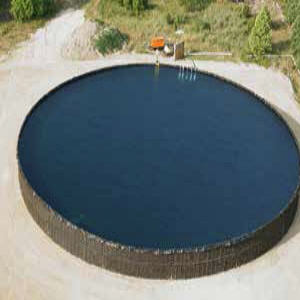 GeoCHEM HDPE tank liners are effective containment membranes used to hold a wide variety of liquids including potable water, wastewater, treated sludge, fuels, gasoline, and more. We fabricate drop-in HDPE tank liners for small and large projects to help reduce or eliminate installation costs (Maximum Height of Tank: 14 feet High X Diameter). Please Use This Form To Contact Us with your HDPE tank liner needs and/or questions, and feel free to Contact Us to request individual samples for any of the products listed.